Conspiracy theorists claim to have spotted a 'black triangle' UFO flying over Russia this week. They claim it is the 'best evidence' for extra-terrestrials ever recorded. A video shows the mysterious object flying through the night sky at a speed that conspiracy theorists claim is too slow to be an airplane. But not everyone is convinced that the object is a UFO, and some suggest it is likely to simply be a drone. 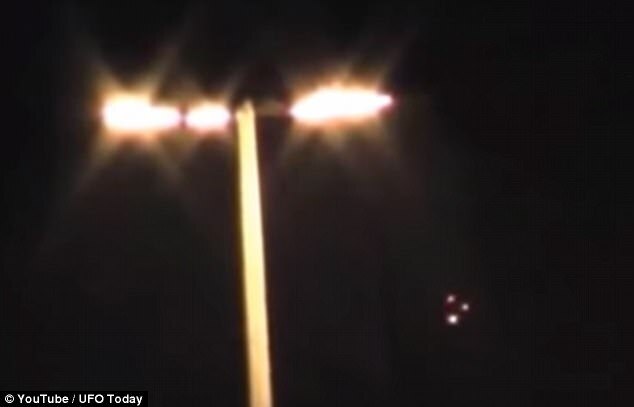 The video, titled 'A TR-3B type UFO was filmed in Russia - Best evidence ever' was posted on YouTube by UFO Today, a Belgium-based channel that regularly posts videos of alleged sightings. 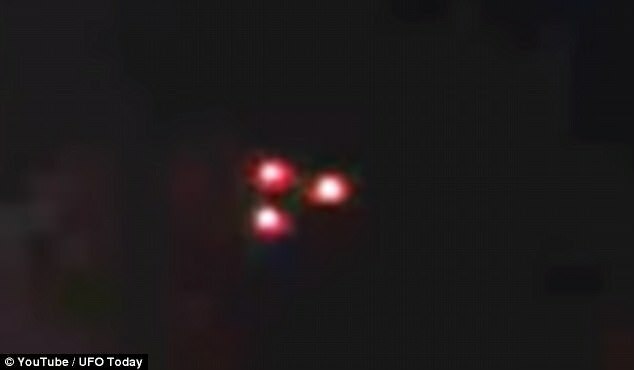 It shows an object flying through the night sky, with three lights in a triangular configuration flickering on and off, that UFO Today suggests is a TR-3B UFO. In the video description, UFO Today wrote: 'The object is moving at a very slow pace, too slow to be a classic airplane. The conspiracy theorists claim that the sighting may be a black triangle UFO – a class of UFO with a distinctive triangular layout. Black triangles are a class of UFO that are generally described as large, silent, black triangular objects hovering or slowly cruising at low altitudes over cities and highways. Sightings usually take place at night. These objects are often described as having pulsing coloured lights that appear at each corner of the triangle. Black triangle UFOs have been found to be visible to radar. UFO Today said: 'Reports generally describe this class of UFOs as large, silent, black triangular objects hovering or slowly cruising at low altitudes over cities and highways. 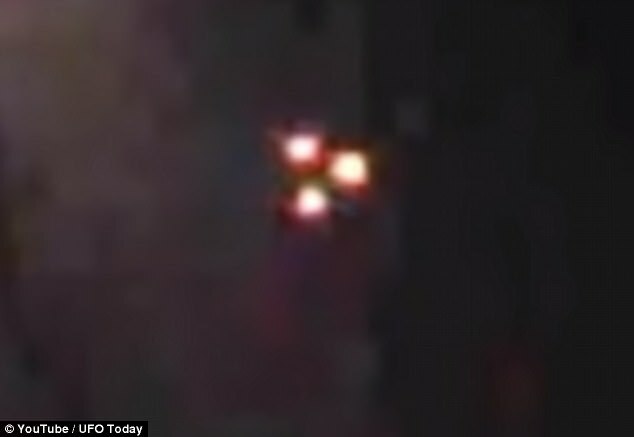 But while UFO Today believes that it is a UFO, not everyone is so convinced. 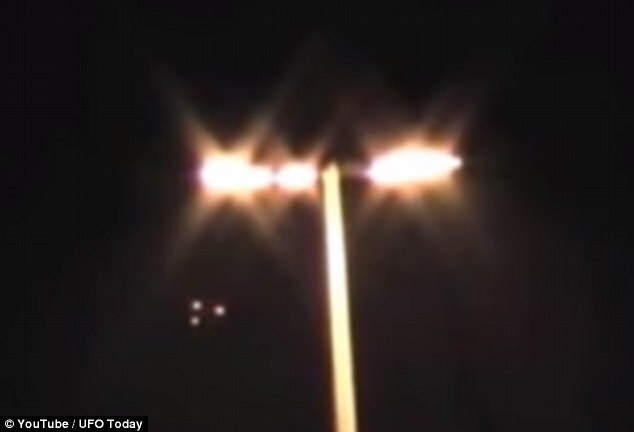 Nigel Watson, author of the UFO Investigations Manual, told MailOnline: 'At night it is hard to gauge the distance and size of an object or lights, which in turn makes it difficult to judge their speed. 'As this seems to be flying slower than an aircraft I'd say it is a drone with lights on it. 'Drones can hover and move slowly, with little noise. However, while low self-esteem, narcissism and belief in conspiracies are strongly linked, it is not clear that one - or a combination - causes the other.